Hi! I’m Evelyn, the new Associate at BGV. 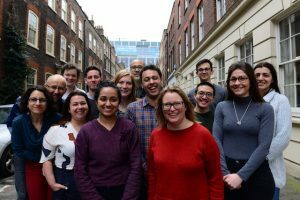 I’ll be helping out with the nitty gritty of the accelerator programme; looking at logistics, ensuring teams are at the correct workshops and organising demo day. I’m looking forward to meeting the new teams that come into BGV and helping them with the goals they seek to achieve. I’ll just tell you a little bit about myself. After graduating in International Relations, I spent three months in Kenya with Balloon Ventures, working with local entrepreneurs to develop their businesses. I supported their application for an interest free loan to fund their new business enterprise. One of the entrepreneurs I worked with was Benson (pictured with me above), a grocer who needed funding to add new stock of different cereals in addition to maize, tomatoes and onions. We came up with the idea of creating a meal box with all the ingredients necessary for traditional Kenyan meals. His market stall became more attractive to customers as it was easier to buy their food from him instead of shopping with several other vendors in the market. It also provided a justifiable reason to ask for investment, as it distinguished his business from the rest of the local market. After presenting this work, he earned the necessary funds to expand his stock and generate more sales. This showed me that challenging societal problems by applying entrepreneurial techniques is a fresh and tangible approach to social progression that produces meaningful results. 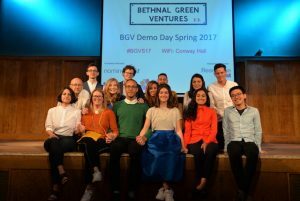 As I’m relatively new to the social enterprise world, it has opened my eyes in a great way to see how business can be used for social good. 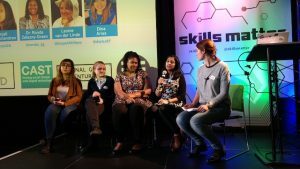 On returning to the UK I wanted to build upon the skills I had gained abroad. This is when I came across BGV. Having learnt about business development in Kenya, I wanted to to work in a similar role in a British context; knowing full well that my home city of London needed this application of entrepreneurship as well. 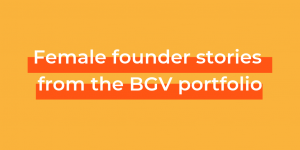 As I increase my knowledge of the startup world, BGV seems like a great place to learn about the role of impact investment by working behind the scenes on an accelerator programme. It’s encouraging to know that the BGV team take intentional steps towards the professional development of each other. For example, social media marketing and communications is something I hope to get more involved in, so you can expect to hear more from me in the future. My first few weeks at BGV have certainly been busy and I’m glad for it. Business workshops, insider industry confidentials and tasty lunches have been great. It’s a lively time at BGV and for a newbie, some would say slightly overwhelming but I wouldn’t have it any other way. If this is a taste of what’s to come over the next few months then I’m quite excited.